There’s no better way to celebrate spring than with a new Vogatha tote, one of the lightest, loveliest, and most long-lasting canvas totes on the market. Korean celebrity and actress Uhm Hyun-kyung agrees with us — check out the photo below as she shows off this beautiful extra large tote. Uhm Hyun-kyung has been active on the popular Korean dramas since 2005, this year appearing in the daily drama House of Bluebird on KBS2. She chose an extra-large tote, as Vogatha bags come in a variety of sizes. We don’t doubt she needs it for a busy life! 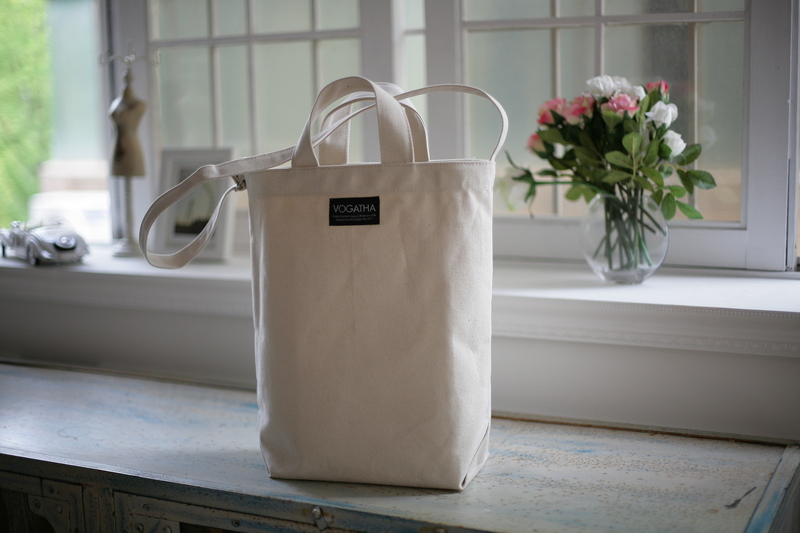 Vogatha totes are made of industrial-strength canvas, the same fabric used for industrial laundry trucks and etc., which that it’s both eco-friendly and strong. Unlike many other flimsy totes, Vogatha bags will last a long time without losing their shape. This extra large version that Uhm Hyun-kyung chose also sports an extra carrying handle and a removable, adjustable shoulder strap, so the bag can be worn more like a messenger bag as well as a shoulder bag. With it’s cream color and bold accents, Vogatha bags are beautiful and light, the perfect companion for sunny days and beach vacations. But because of their strength and durability, they’re also there for the daily work, the rush of busy, professional lives. To get your Vogatha tote today, visit www.vogatha.com! Share the post "Uhm Hyun-Kyung’s New Vogatha Tote"
Posted in CELEBRITY'S PICK and tagged canvas eco bags, canvas tote bags, eco canvas totes, korean celebrity fashion, korean celebrity style, shoulder bags, uhm hyun-kyung, uhm hyun-kyung fashion. Bookmark the permalink.